Krav Maga is not fighting in a ring, wearing uniforms, trying to get a ‘belt’, or win a trophy. It is a system designed to prepare you for real threats that we are encountering TODAY. 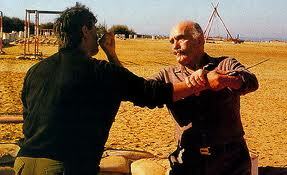 Krav Maga is based on instinctive movements so they are easy to learn and easily recalled under stressful situations. Krav Maga is not dependent on size, strength, or special physical abilities, so our techniques can be used EFFECTIVELY by men and women of all ages. “To educate and build people mentally, spiritually, and physically so that in a time of need they will be able to defend and attack with maximum speed and efficiency. To establish in one a sense of self-worth. |or Punch Cards Available $135 for 10 Classes. Call 541-345-3018 for more information.